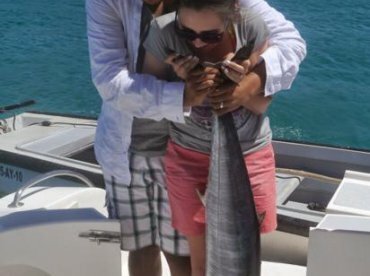 Royal Big Game Fishing is a well-renowned charter company operating out of Trou d'Eau Douce, Mauritius. The company was founded in 1987 and all their captains have more than 30 years of experience. 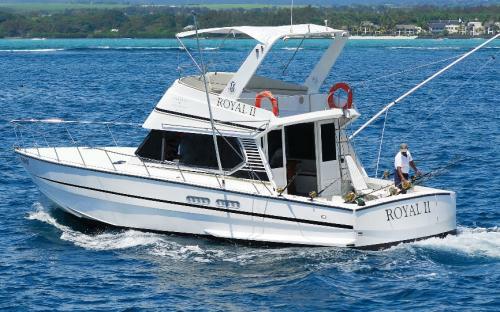 Royal Big Game Fishing is one of the most respected charter companies on the island. They have won numerous awards and take great pride in the fact that all their customers leave with smiling faces. 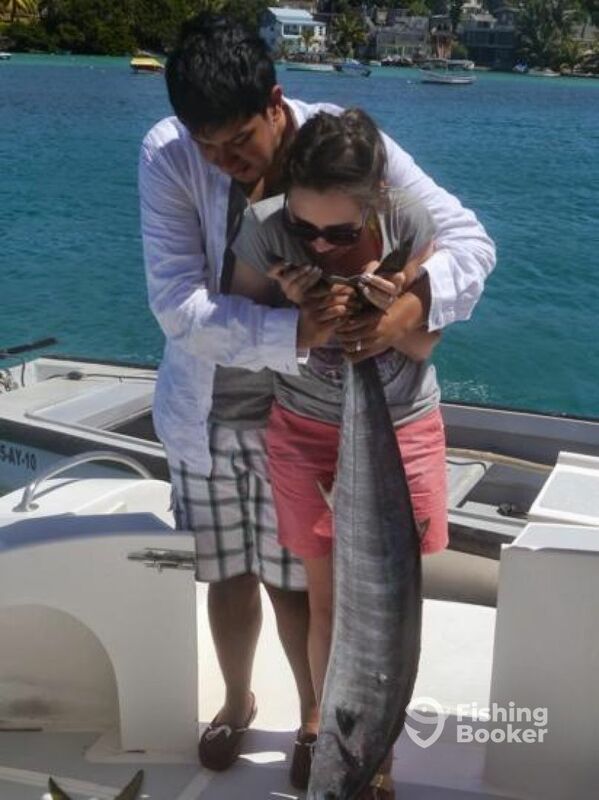 The main focus of Royal Big Game Fishing is to keep their clients happy. My wife and I booked this trip without either of nus being fishermen/women so it was really just for the experience and it was excellent. The crew despite poor English ( and our poor French) made us welcome and after a short period we were on the boat and out in the Indian Ocean. If you suffer from any form of motion sickness this is not a trip for you as there was a decent swell.The crew set up the very impressive array of rods on the way from the dock to the reef and after leaving the relative calm of the lagoo we were out and fishing. Within a few minutes we had both caught Skipjack Tuna and this was to be our main source of catch, 14 in all. The only other fish we caught was a dorado. This was not for want of trying on the crews behalf as we seemed to be quite far out from shore and trawling in loads of different areas for more sport. The day befores trip had caught 2 fish so we were lucky. In essence we had a good day out. The only negative was at the end of the trip while paying the balance, the Ops manager of the company asked me for an additional $40 on top of the balance for the food we had (don’t bother with the food they supply, its not that great) I was convinced that the food was included in the total cost but as I had no e mail access I paid up. To be honest I haven’t checked back on the e mails to confirm or not whether he was correct but take your own food and take the confirmation e mail with the final costs with you for your own peace of mind when you pay. But ending on a positive,the trip does seem expensive but as the boat is 3 crew strong and you are out for around 9 hours its worth it. To be fair this is one of the pricier fishing trips, but to be completely fair it was worth it. This is a wonderful crew that provided a once in a lifetime experience. We did some great views of the island and we caught large fish, had it prepared for dinner… What more could you ask. My husband didn’t take the in the best way and the crew was really understanding and helpful.